Q: It says, ‘when some one slaps on your left cheek, turn to him your right cheek too’. what do you say about it? Sri Sri Ravi Shankar: I tell you, when some one slaps on your left cheek, slap them on both cheeks and if needed, third time also! But with awareness, compassion and beloningness to bring a positive change in them. Q: What is meant by ‘Deena Bandhu’? Sri Sri Ravi Shankar: ‘Deena’ means weak, meek, powerless and helpless. ‘Bandu’ means friend. The Divine is the friend , relative or reddemer of the meek. Q: Guruji, what is the relationship of dharma (righteousness) with God? Sri Sri Ravi Shankar: With what does God not have a relationship, tell me this? God has a relationship with righteousness (dharma) as well as unrighteousness (adharma). To destroy adharma and to uplift dharma is also Gods responsibility. So God is related to everything. In the same way, in the ritual of pooja it is said, Dharmaye namaha, Adharmaye namaha. We say namah to both. This world is a mixture of righteousness and unrighteousness, and God has a relationship with both to destroy unrighteousness, and establish righteousness. Q: Guruji, it is said on this path one should drop everything and be free of purpose or goals. I am a busy executive, without a purpose how can I take responsibility? Sri Sri Ravi Shankar: See there are two things Pravittri and Nivritti. Do not mix the two. There are two attitudes that we have to pay attention to. One is, when you go inward (Nivritti) you think that everything is fine and I dont want anything. That is called Meditation. When you have to come out and work (Pravritti), then seek perfection in even small details. Put your full attention and take responsibility. The message of Lord Rama and Lord Krishnas life is this only. When you have to come out and work (Pravritti), then seek perfection even in small details. Whenever you see imperfection, you have to pay attention on how you can correct it. And when you have to retire then say, Everything is fine. This attitude will help you go deep in meditation. This is the path of Nivritti. That is why one who knows the difference between Pravritti and Nivritti is said to have a sattvic intellect. He is called intelligent. What is the other sign of an intelligent person? He is the one who is able to see good even in a bad person; one who sees the good in everyone. You go to a prison and you find something good in the biggest culprit. To find good in the guilty is the sign of intelligence. So an intelligent person finds something good in the worst people, but a foolish person will dig out something bad from ever the best people, and there are people who do this. Sri Sri Ravi Shankar: The harmony between the rhythms of the body, breath, intellect and memory is called health. The body is healthy when all these rhythms are in harmony. Q: Dear Guruji, I don’t have any questions. All I want to say is that I love you and thank you for everything. But tell me Guruji, do you want to say anything to me? Sri Sri Ravi Shankar: Listen, I have been saying it all the time! What I want to say, I keep saying, right? Q: Guruji, There are so many definitions of Saints. In reality, whom do we call a saint or a Yogi? 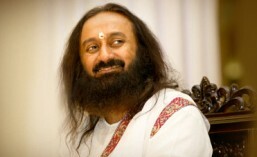 Sri Sri Ravi Shankar: Saint is one whose consciousness is complete. Manifestation follows their words. When such a person speaks, it is not only on the level of mind. Those words have depth. It is more beneficial to directly listen to masters words because He is speaking lifes experiences only. Experience kindles experience. We communicate more through our presence. If our presence doesnt have that love, then the words spoken carry no effect. And there is no need of words where presence carries love. Whatever we convey, it is through our whole existence. It is like when a child cries or laughs, it is coming from every cell of his/her body. This is indication of a yogi He/She speaks through existence. Truth cannot be conveyed on the level of brain. Q: Gurudev, you have so many disciples. How do you keep track of each disciple’s spiritual progress? Q: Guruji, what is the significance of netra daan (eye donation)? Sri Sri Ravi Shankar: The significance of eye donation is that even after you, your eyes will be of use to someone. Q: Guruji, I just started a new anti-psychotic drug for the condition I have. I would like to hear from you some message of inspiration or hope. I love you and I feel so much a part of you but I am feeling like a failure right now, and I worry that I wont regain my talents. I keep fighting, but some words from you will be very helpful. Sri Sri Ravi Shankar: No, dont fight. The body needs medicines, just take them, relax and be happy. If you have taken a step into spirituality, what you need to remember is in any condition let me be happy, wherever I am, however I am, I want to be happy. I will be happy, I will keep smiling, and even if I have to go through a tough time, I will go through it with a smile this one thought, this one determination you should have. Q: Guruji, I want to know if Gurus also feel helpless before their devotees. Sri Sri Ravi Shankar: Absolutely! They are the servants of their devotees. Q: Guruji, we are trying to establish a gaushala (cow shed) but we are not achieving much success. 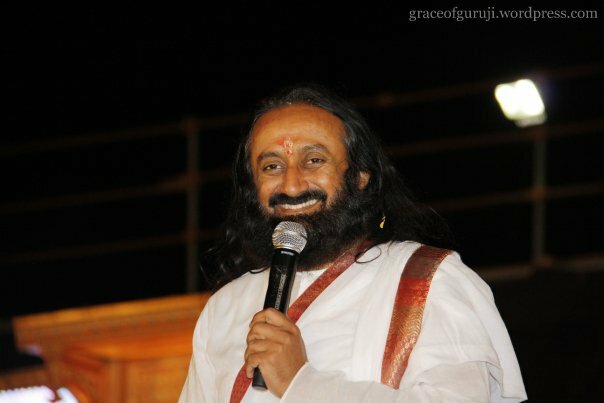 Sri Sri Ravi Shankar: Anything you start, you will face some difficulty initially. In agriculture also, after doing so much farming, there is no profit, isn’t it? A little bit of difficulty will be there. Q: Guruji, ‘string theory’ talks about ‘parallel universes’. Can you say something on this? Sri Sri Ravi Shankar: Yes, parallel universes are talked about. There are 14 worlds and they are parallel, one inside the other. Right here there could be many universes. That is why our senses only analyze a few things tanmatras. The Pitra Loka is not somewhere else, it is right here. There is a little bit of all the five elements present in our senses and because of their presence we are able to see and experience this. Like our tanmatra of light is different from the tanmatra of an owl. So if it is very dark outside, you cant see, but an owl can see. Tanmatras of bats is even different. Where you cannot see anything, bats can see. Its ability to perceive is different. You will need a torch to move around in your room when everything is dark, but a cat doesnt need it, it will find its way. So, all our five sensory perceptions are based on something called tanmatras our frequency. We are tuned to a particular frequency, but the universe is of infinite frequencies. Q: Guruji, I had my Upanayanam (Thread ceremony to initiate) many years ago but I never quite understood the significance of the ceremony, the thread and Sandhyavandanam. Can you please explain? Isnt Kriya enough, why Sandhyavandanam? Sri Sri Ravi Shankar: Yes, you do Kriya, that is good enough and afterwards if you are being initiated, do the Gayatri Japa. Gayatri Japa means Let my intellect be inspired by the Divine. It is our intellect which blocks the vast Divinity from expressing itself fully in life. So, the prayer is, May the Divine inspire my intellect. May the Supreme Energy manifest in my life and in my intellect. And in Upanayanam, they usually put a thread on you and the thread is to signify that you have a responsibility towards the knowledge, towards your parents and towards society. So it signifies carrying your responsibilities on the shoulders. A young boy, before he goes to study, they make him realize that, ‘You have the responsibility. And then the child studies and comes back. When you have finished all your responsibilities, in Sanyasa, then they remove the thread and throw it. If you are a recluse, then you dont have the thread. This is a system that has been followed from a long time. Q: Guruji, if a boy and a girl are getting married, should horoscopes be matched or not? Q: Guruji, When I think about other peoples faults, I get arrogant; and when I see my faults, my ego gets bruised. What should I do? Sri Sri Ravi Shankar: Look at your shortcomings and understand that at least someone is there to remove them. Have faith that there is someone who will remove your shortcomings. Just by having this faith things can move forward. Look at your shortcomings and surrender them with faith, These are my shortcomings, I am offering them to you. If you have difficulty in surrendering, then just know that there is someone who will rid me of these shortcomings. Just like when a school-going student realizes that he doesnt know how to count numbers, but he has the faith that the teacher will teach him. When he opens the first page and he is unable to understand what is written, he still has the confidence that he will be able to understand the book because the teacher is there for him. Without faith, the vehicle of life cannot proceed. Faith is the petrol of the vehicle of life. Even the petrol called faith has started becoming too expensive! If you dont let it become expensive, the vehicle of life will move further and reach its destination. Click Here and read the verses of Ashtavakra Gita! ← How every Question became a Wonder!